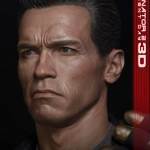 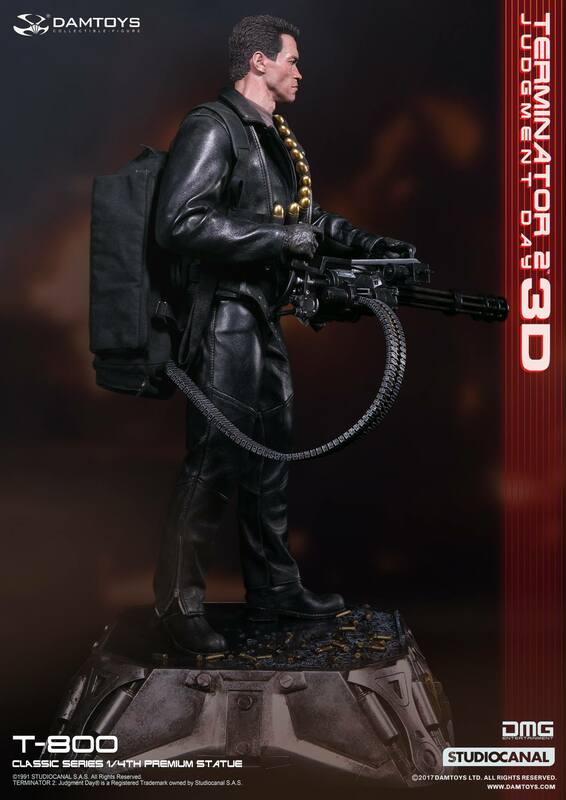 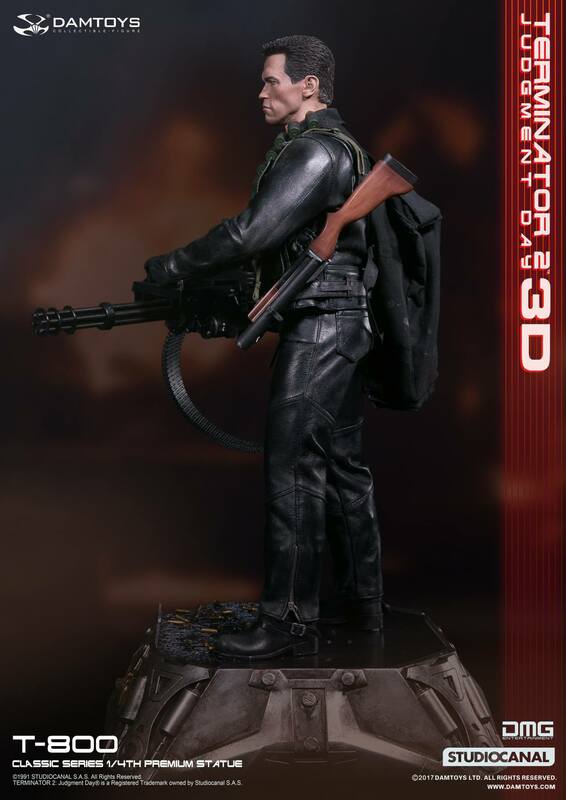 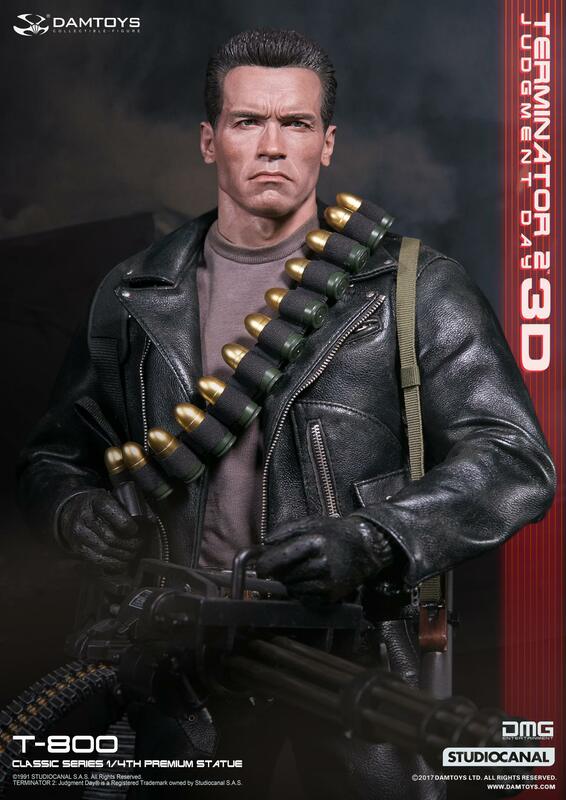 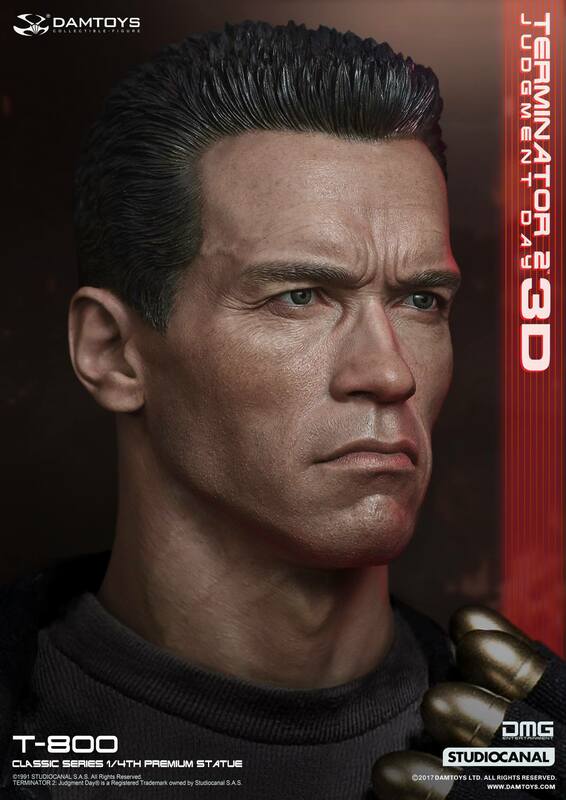 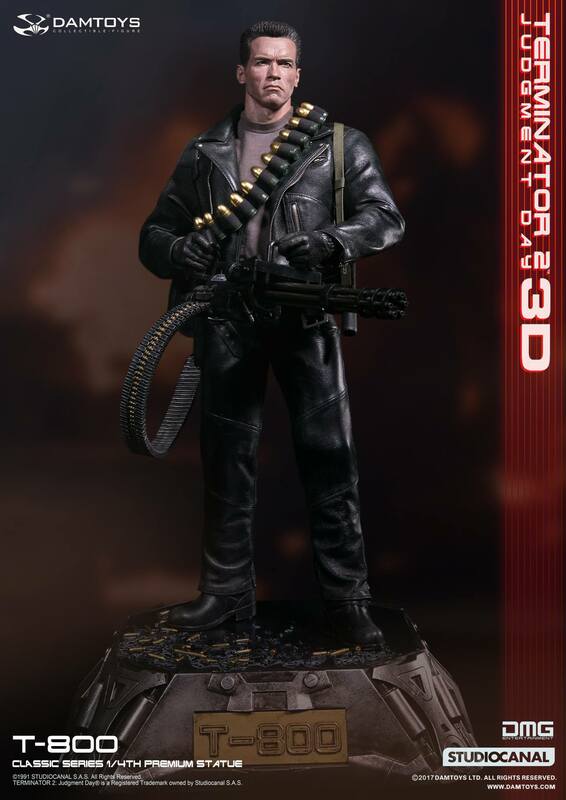 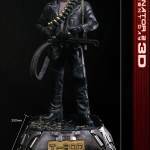 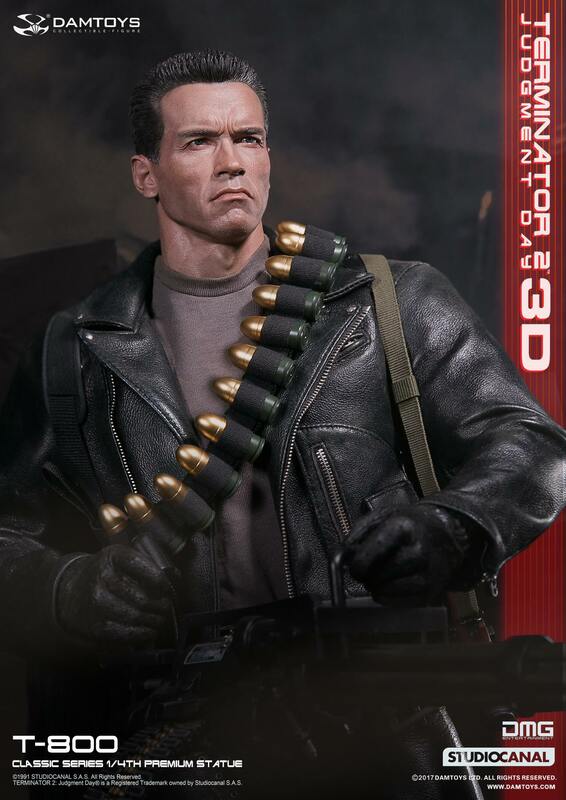 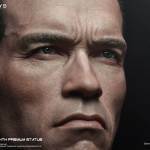 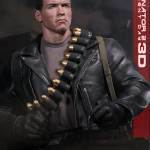 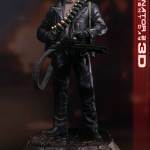 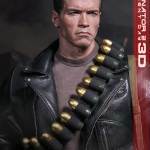 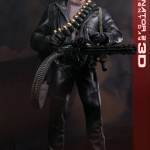 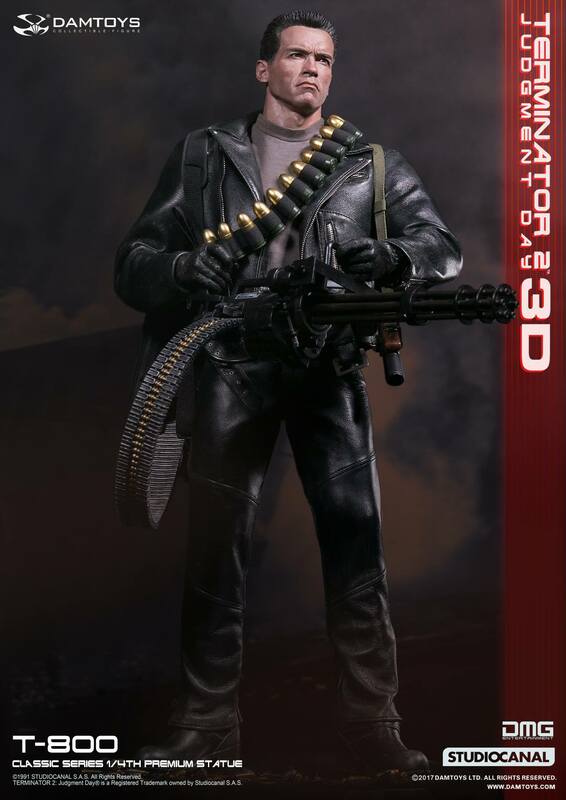 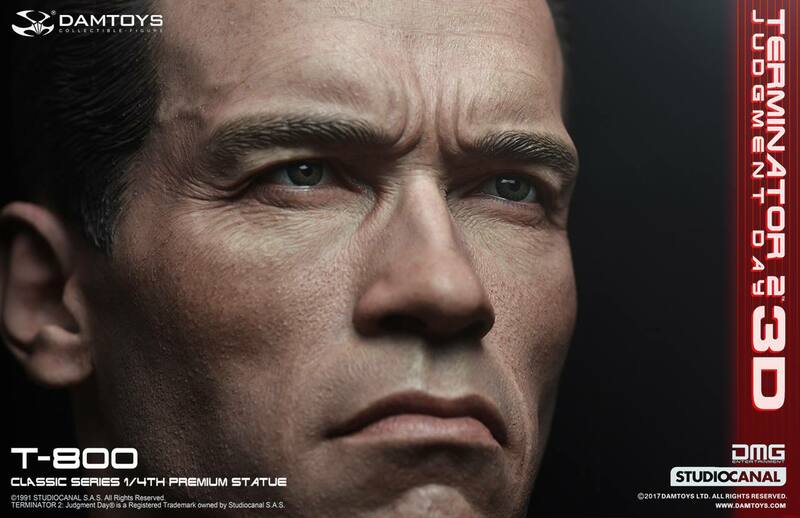 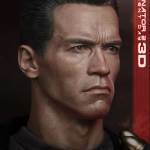 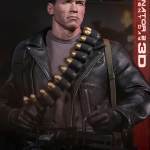 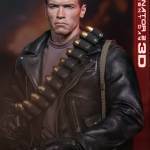 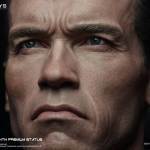 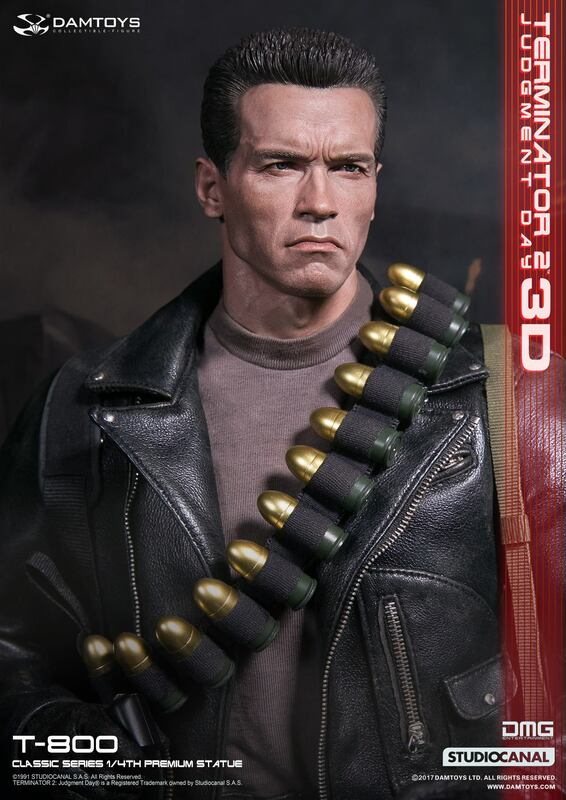 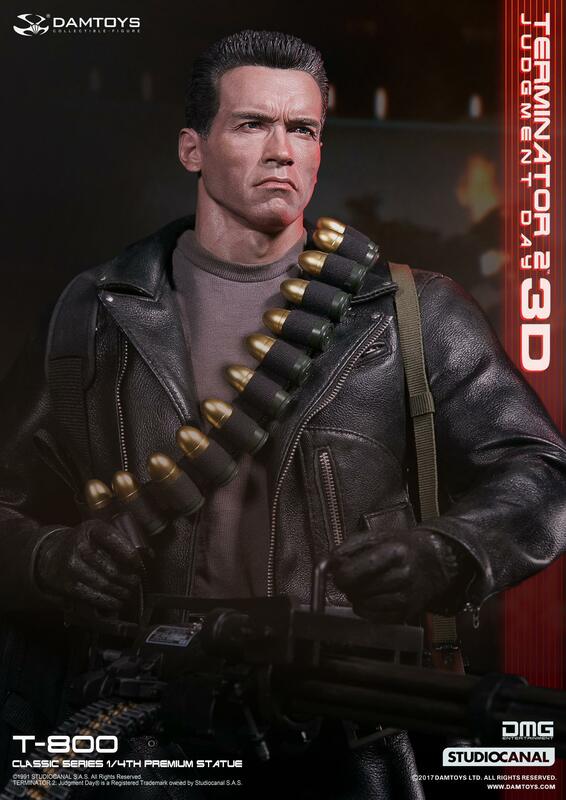 A new Terminator 2: Judgement Day 3D – 1/4 Scale T-800 Premium Statue is coming from Damtoys. 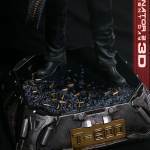 They have shared photos and details for the upcoming release. 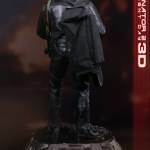 This mixed media statue used a fabric for the outfit and cloth accessories and polystone and PVC for the remainder of the sculpt. 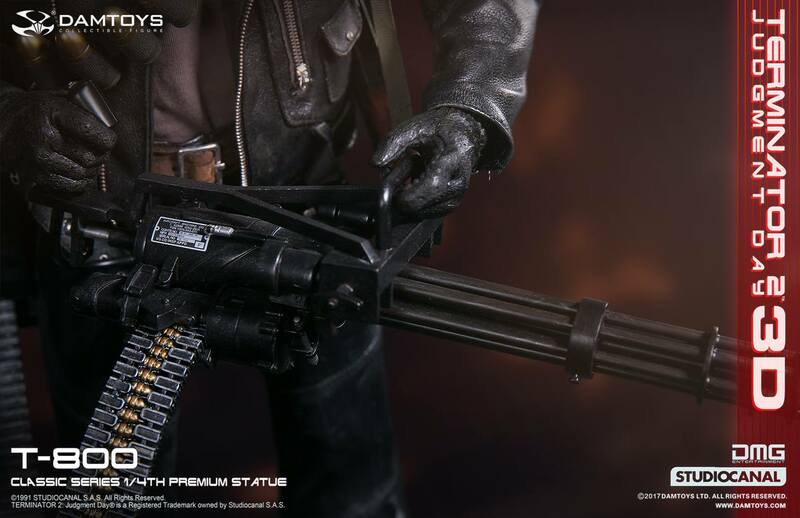 The statue features the T-800 holding the minigun, complete with shell casings scattered over the statue base. 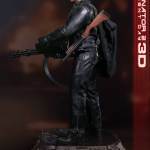 With the base, the statue will stand at 22″ tall. 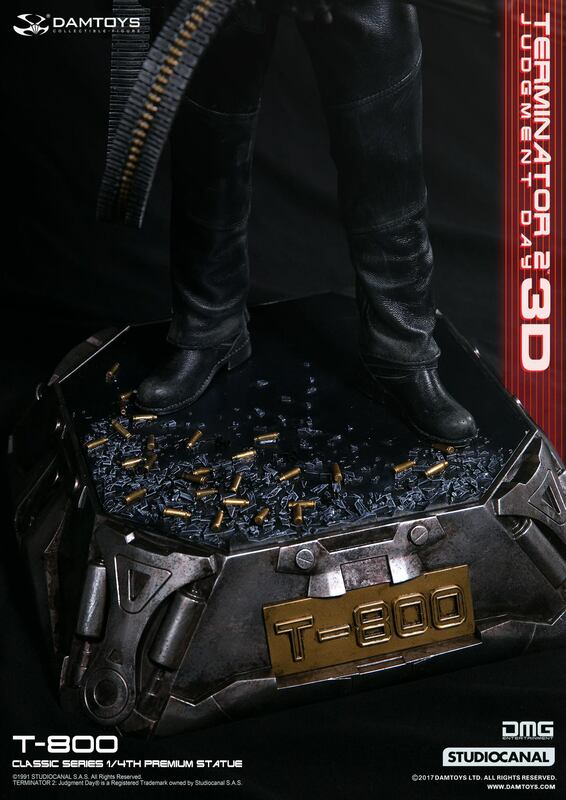 The T2 T-800 Statue is due for release in the fourth quarter of the year. 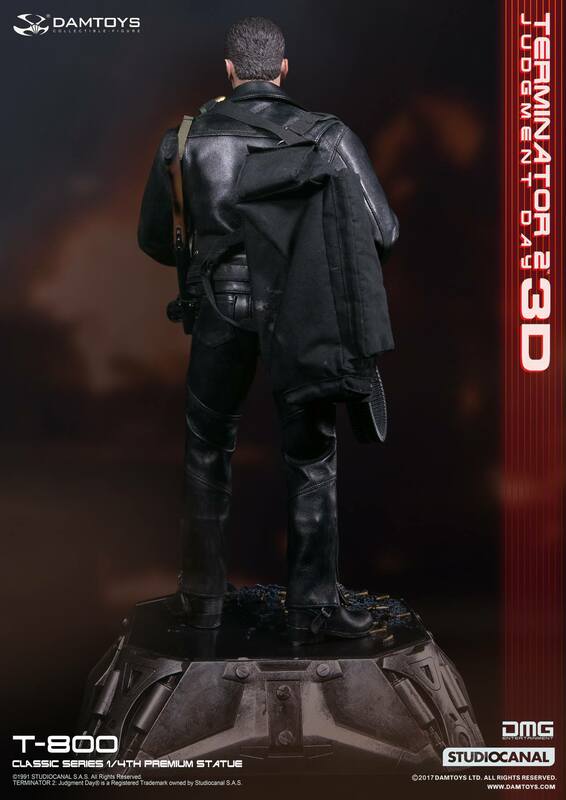 It’s priced at $450. 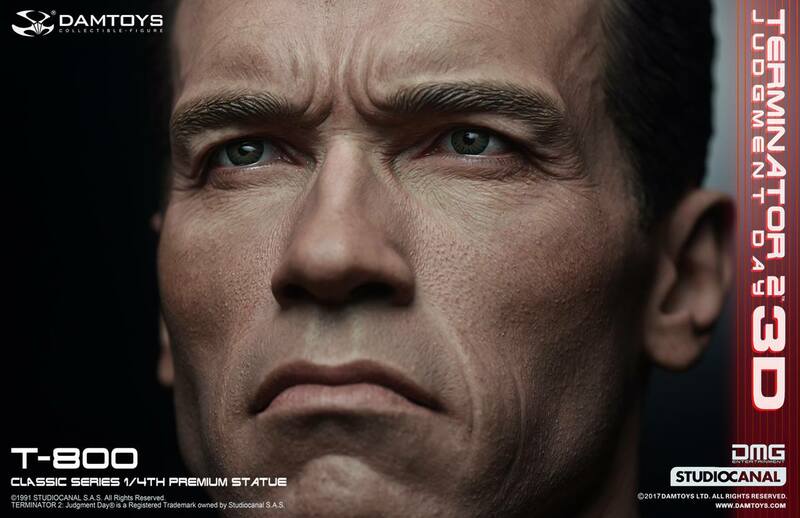 Check out more details and all of the photos after the jump. 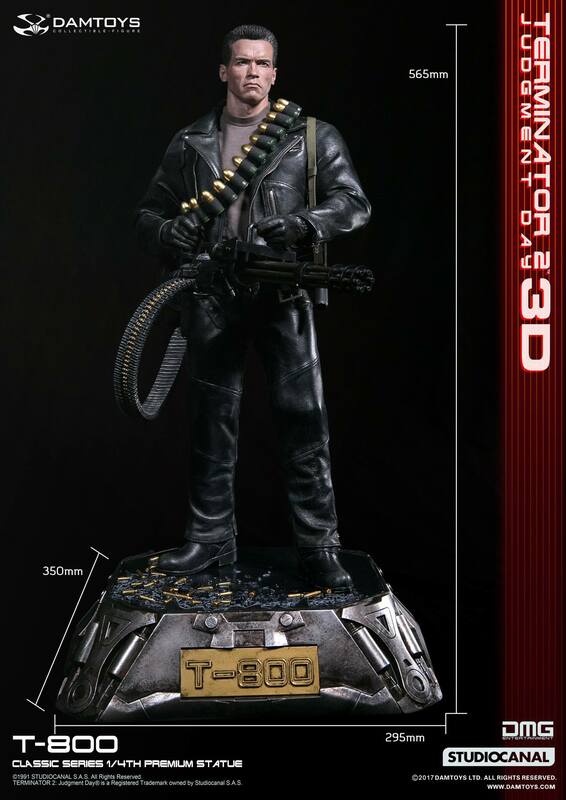 This 1/4 scale T-800 statue is one of our classical premium statue series, made by the best team at Damtoys, with our selection of high quality sheepskin for T-800 the leather jacket, pants and boots, with use of metal zippers, rivets to present the realistic statue, and also for the purpose of long-term collection. 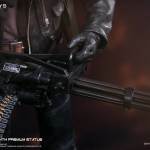 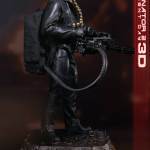 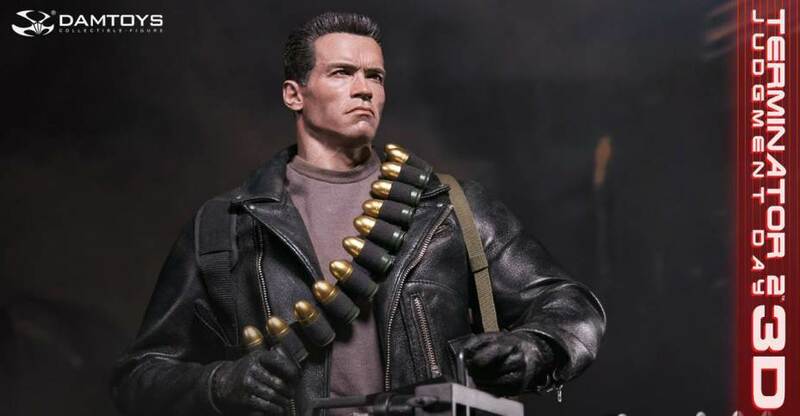 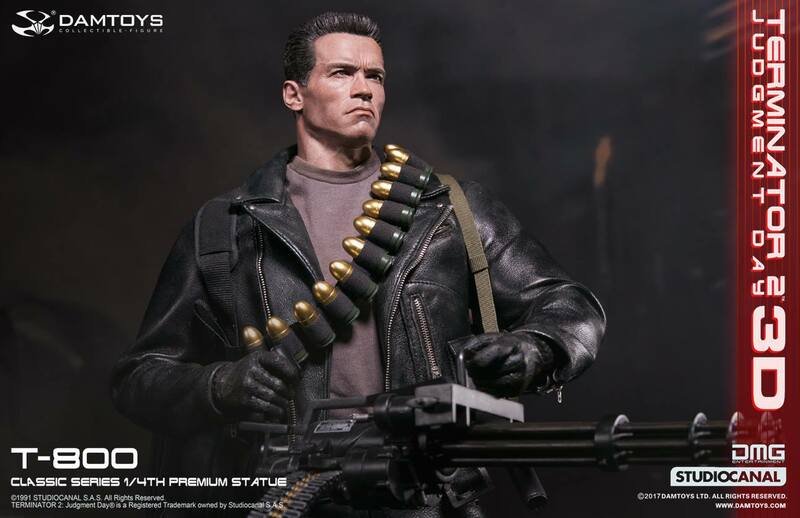 He also features the high detailed sculpted M134 MINIGUN , M76 Grenade Launcher & detachable grenades, and a special made Terminator base to present the rich details. 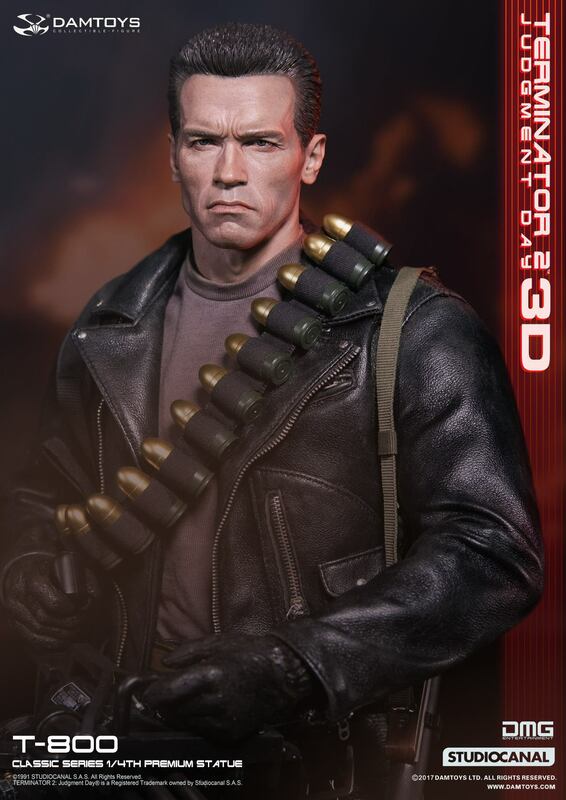 The PVC made head sculpture with detail painted and realistic sculpted to bring you lifelike expression. 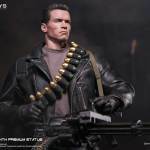 As T-800 strafing with Minigun, the classic image has been restored perfectly from film. 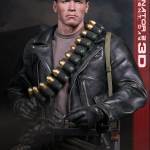 Yinji Film, Entertainment & Media Co.ltd. 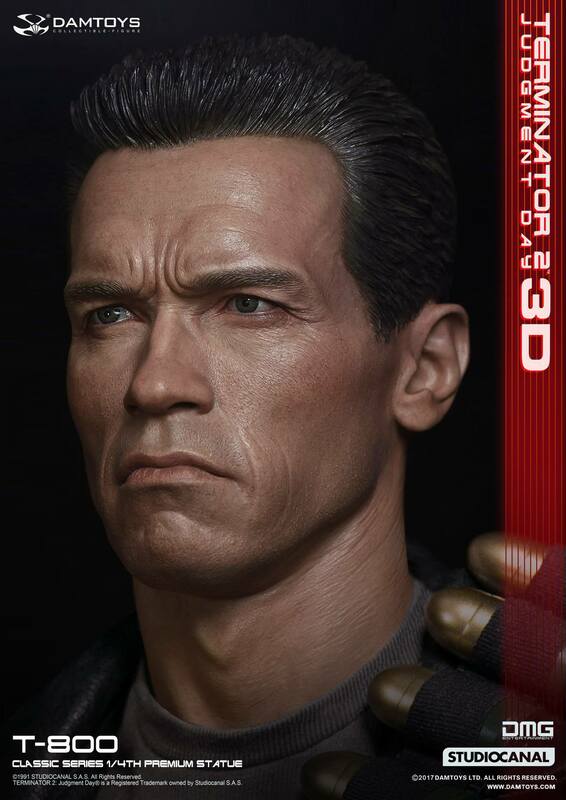 Shanghai Trademarque Culture & Communication Co., Ltd.
Headsculpt looks great, but the leather is too pristine: No weathering, no bulletholes, no patches.